The distance between what you want and what you are, psychologically, is (additionally) what you are. Beautiful beetle and proverb, Thomas. Is this some kind of rose-beetle? Thank you, Mitza! 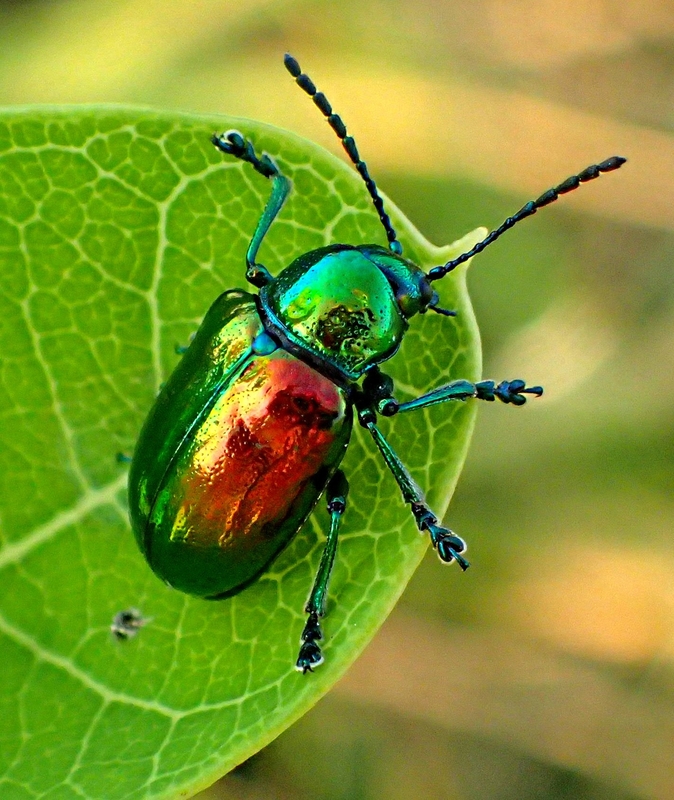 They are 1cm beetles that – like a good number of insects – feed on (and are associated with) Milkweed plants. Brilliant photo! I just wish I could get that kind of detail in one of my shots. Do you use a true macro lens? I use extension tubes at the moment but would like to invest in a good macro lens some day. Great work and always enjoy your shots. Thank you! 🙂 I use a special macro lens with my 3D camera and a Macro Acromatic Close-up lens on a 2D additionally. Currently, I have poison ivy – which I get every year from hanging out in the woods – upon my arm, throat, and legs. I know what it looks like and don’t touch it; however, all I need is to be near it and I get infected. But I’ve come to accept its inevitable onslaught upon me! I feel your pain! When I was younger I used to suffer from poison ivy all the time. Used to cover me and my mother would use Calamine Lotion to treat it which is a pink color. So needless to say I would be covered in oozing poison ivy patches and would also be covered in pink splotches. Not the best look for a young boy. 🙂 Thanks for the info on your camera. You’ll have to do a post someday and just go over your setup so some of the terms and items would make more sense. Keep up the great work. Love macro your macro shots.